Spartaco Gippoliti has been working as conservation consultant for the Pistoia Zoological Garden, Italy, and is a member of the IUCN/SSC Primate Specialist Group. One of his interest is the interface between taxonomy and conservation. Erik Meijaard is Senior Forest Advisor of People and Nature Consulting International in Jakarta and Bali, Indonesia. Their article "Taxonomic uniqueness of the Javan Leopard; an opportunity for zoos to save it" was first published in 2007 in Contributions to Zoology 76. Excerpts presented here have been updated by the authors (in blue). The Javan leopard (Panthera pardus melas) is a morphologically distinct subspecies with a very limited distribution range. Recent research on variation in mitochondrial DNA confirms that the Javan subspecies is genetically quite distinctive from the other subspecies. Remarkably, melas is the sister group to all Asian leopards. Compared with the Javan leopard, some other subspecies are not so clearly differentiated by molecular and craniometric data. Based on the distinctiveness of the Javan leopard, a captive breeding programs for this taxon — which in 2006 was listed as Endangered in the IUCN Red List and since 2008 as Critically Endangered — should make a much greater contribution to the conservation of Panthera pardus diversity than that of many nominal subspecies currently included in the European Endangered species Programmes and other coordinated breeding programs elsewhere. Outside of Indonesian zoos, the only pure animals of Javan Leopard that we know are in European zoos. There were 14 P. p. melas in Europe in 1997, destined to extinction, but ISIS currently only lists one male in Europe. The Berlin Tierpark recently received one breeding pair from Indonesia. 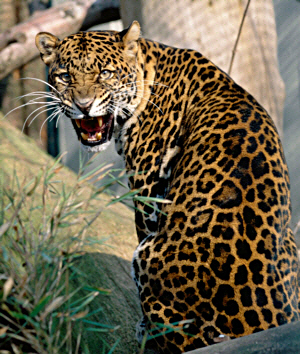 The Indonesian zoos of Ragunan, Surabaya, and Taman Safari in Bogor also have Javan leopards. Currently there are 17 Javan leopards with 7 males and 10 females in Taman Safari, of which four are breeding pairs. However, it is possible that many more pure Javan specimens exist as 'black panthers', as this colour form is particularly common on Java. These black leopards in captivity are mostly of small size, which is characteristic for the Javan leopard, and although breeding with other leopard subspecies in zoos certainly occurred, it is probable that most of the captive populations are still composed of pure melas. Thus zoos in Europe and America could greatly augment the genetic variability of the captive population of Javan leopard. 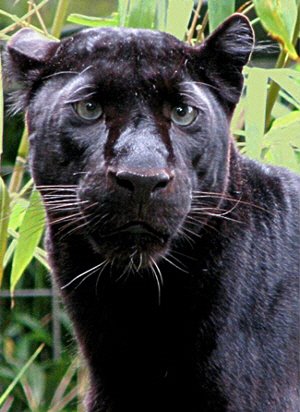 The uncertain taxonomic status of 'black leopard' in zoos precludes an accurate estimate of the size of the captive melas population and the extent of hybridization with other subspecies. Research utilising nuclear DNA should help to identify pure Javan black leopards to add to the founders of a captive managed population of melas. Coordinated breeding programs for the Javan leopard should not only save important genetic material, but may represent a first step to increase conservation activities on Java to protect a unique leopard and, indirectly, other endemic species. We thus propose to include Javan leopards as a focal taxon in European and American captive breeding programs, and closely collaborate with Asian collections of this taxon. Leopards are among the most adaptive cat species, and reintroducing them should be considered a realistic option to re-establish extinct populations once effective conservation measures are in place.